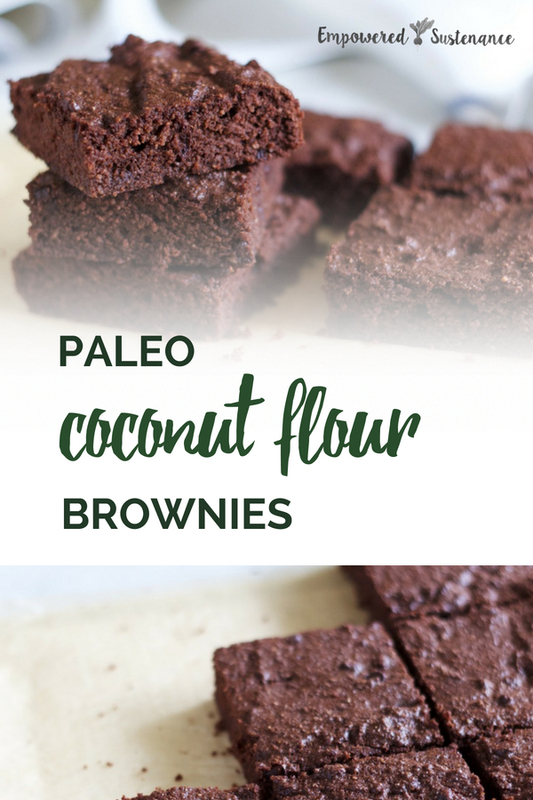 Paleo Coconut Flour Brownies - Dense and fudgy! At my house, brownies are taken seriously. 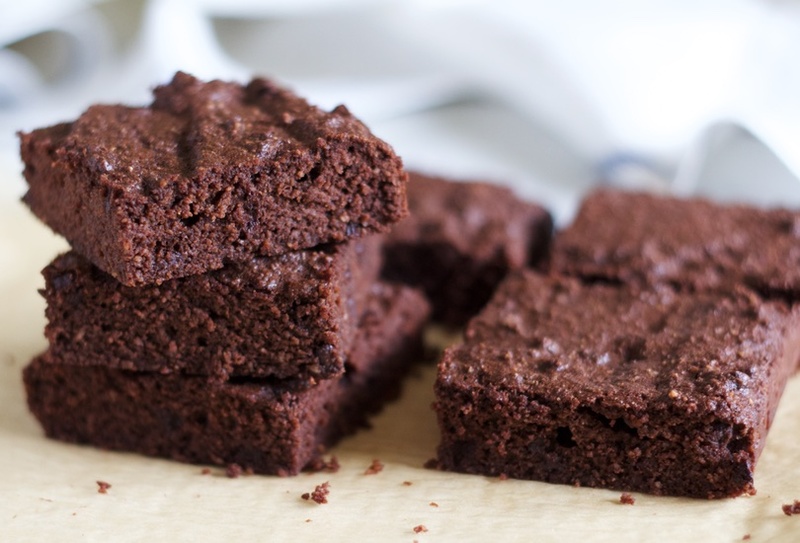 We require a dense, fudgy, chocolatey, moist and rich treat to satisfy a brownie craving. We don’t consider cakey brownies brownies… we call them chocolate cake squares. After tweaking, I finally created a coconut flour brownie recipe that suits the brownie connoisseurs in my family. Firm, decadently chocolatey, and slightly chewy, you’ll be hooked after one bite. Coconut flour is my flour of choice for grain free baking. You can find it here or in any health food store. Unlike almond flour, which contains problematic enzyme inhibitors and inflammatory fatty acids (read why I avoid almond flour here) , coconut flour provides only healthy fats as well as fiber and protein to fill you up. It requires a hearty dose of coconut oil to provide moisture and the fudgy texture. Not only does the butter make these brownies delicious, it adds an important nutritional aspect. Besides the inherent nutrient-dense qualities of coconut oil, healthy fats in desserts help balance your blood sugar. If you’re going to enjoy a sweet treat, make sure it has healthy fats to slow down the release of sugar into your bloodstream. I use cocoa powder when I make this recipe for my family members but recently I’ve been experimenting with carob powder. I’m unable to tolerate chocolate at the moment, but I do well with carob. Unlike chocolate, carob is a pod – not a seed – and is caffeine free. 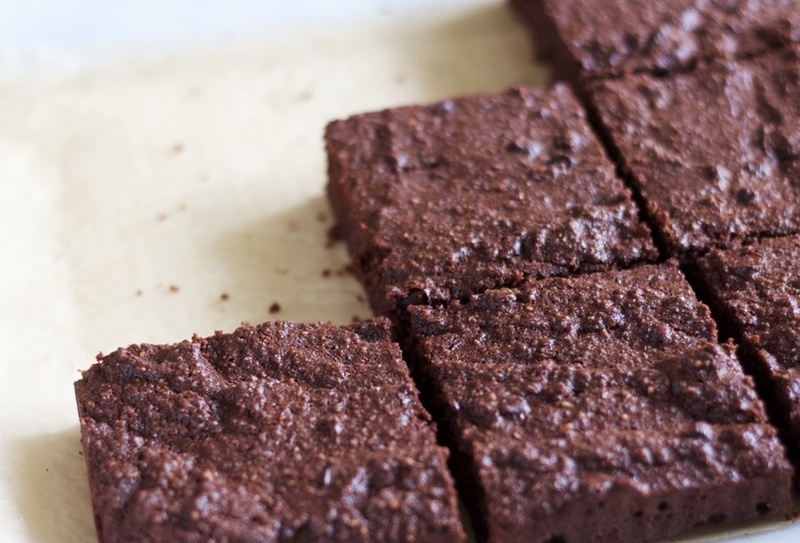 I find that toasted carob powder, which you can find here or at your health food store, taste very similar to cocoa powder and works well in these coconut flour brownies. These coconut flour brownies taste rich, fudgy and decadent. Preheat the oven to 350 and grease a baking dish (8x8 or 9x9). 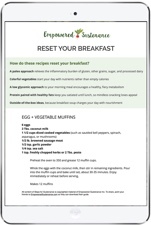 Mix together all ingredients by hand or with a hand-held blender. Pour into the baking dish and bake for 18 minutes, until a toothpick inserted into the center comes out moist with some crumbs. Cool for 30 minutes before cutting or removing from the pan. Cooling allows the brownies to have a fudgy texture.